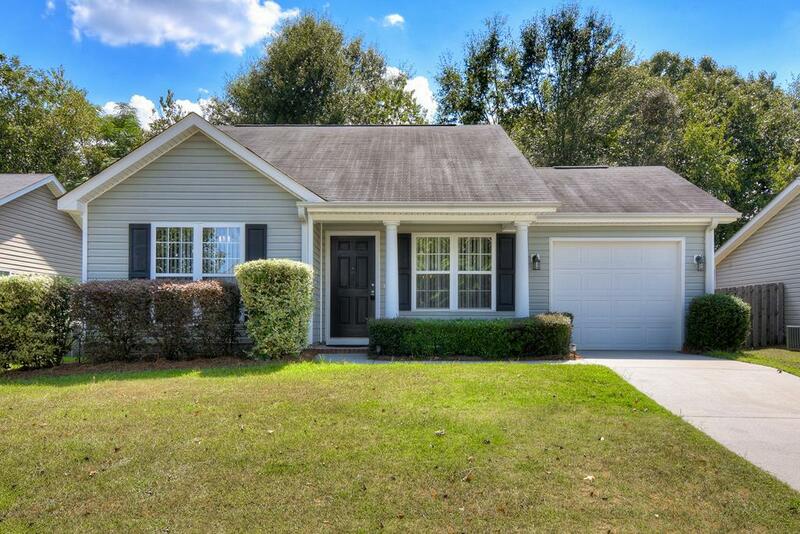 Adorable 2 BR | 2 BA home with a spacious open floor plan! Super clean one owner home in immaculate condition! The family room features beautiful hardwood floors, vaulted ceiling, ceiling fan, and opens up to a fabulous kitchen! Kitchen features tile floors, beautiful wood cabinets, breakfast bar, large pantry, and all appliances remain! Separate laundry room with washer and dryer to remain! Exterior features include a one car garage, front and back sprinkler system, and beautiful landscape! The backyard is completely privacy fenced in and lined with a buffer of trees, nobody will build behind you! Conveniently located to restaurants, grocery stores and schools! All thats left to do is move in! This one will not last long! Listing provided courtesy of Wendy Kizer of Meybohm, Llc North Augusta.